Firstly, a big thank-you to everyone who filled out a questionnaire at Parent's Evening (October 2018). We really appreciate you taking the time to give us your valuable feedback. Your views are important to us, they help us to see what we are doing well and enable us to target areas for improvement. The pictures in this post contain the results from approx 360 children's and 195 parent's questionnaires. Overall it is hugely positive and for that we would like to thank all of our hardworking staff, our fantastic pupils and our dedicated parents. 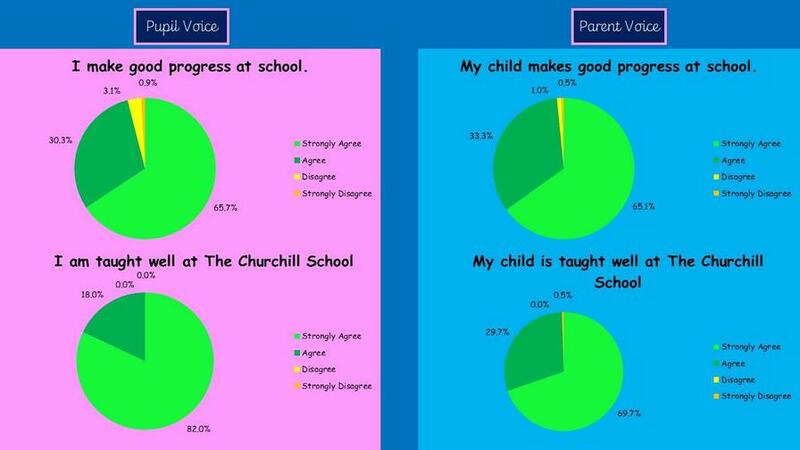 This data will be scrutinised by staff and governors to inform our vision and direction for the future.